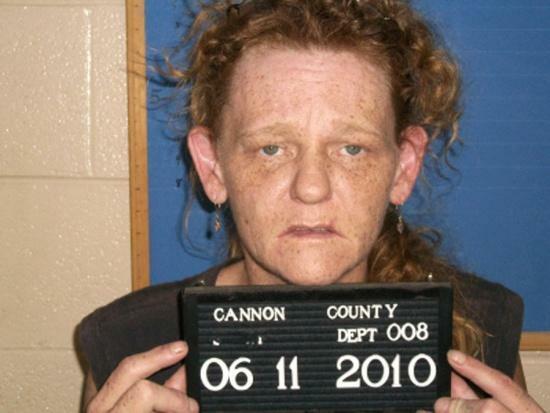 Deborah Elaine Smithson, 44, 227 Orville Duke Road, Morrison was arrested Friday, June 11 by Deputy Anthony Young on drug charges. A sealed indictment was returned against Smithson by the May term of the Grand Jury on charges of Sale of Schedule II Narcotics (two counts) and Maintaining a Vehicle to Keep, Use or Sell Schedule II Narcotics. Bond was set at $40,000 by Circuit Judge David Bragg. Smithson’s next court appearance will be Friday, July 9 before Circuit Judge Don Ash when she will be arraigned on the charges. Investigators for the Cannon County Sheriff’s Department concluded a nine month drug operation on Friday, May 14 when nine cases were presented to the Grand Jury. Presenting the cases to the Grand Jury as sealed indictments was Investigator Charlie Wilder, who along with Investigator Vance Walker, conducted the drug operation. Five defendants have been picked up on those indictments with four remaining unserved according to the Cannon County Sheriff’s Department.